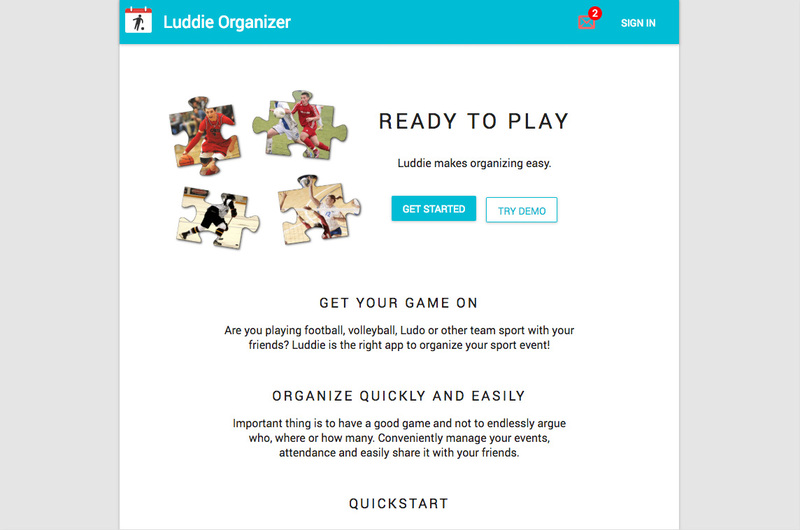 "Luddie Organizer is a free tool which helps to organize regular sport events. Start by creating your sport group page and a recurrent event. Luddie will send an email with a secret link to attendance roster to your team members before each event. Alternatively you can share the link by yourself. Your teammates won't need to register or log in to use Luddie."